Wolfgang von Kempelen is one of the few people who can stand next to the famous Leonardo Da Vinci. The polyhistor lived in the period from 1734 to 1804 and is the figure in the Slovak history that recalls the spirit of innovation of the Slovak capital, which was then called Pressburg. He achieved world fame and recognition because of his many inventions and innovations, while he was still alive. He was known as the central figure of the Enlightenment in the period of Maria Theresia. Even the ruler showed sympathy for him and let him build a fountain in the Schoenbrunn Castle. And the interesting fact is that the fountain’s technology still works today. What brought him the biggest fame was his invention of the chess machine in 1770. The mechanics of the machine are still not fully known today. It was a chess table at which a bearded Turk carved from wood was sitting. At every wrong move of the partner, the bearded Turk would shake his head unsatisfied and interrupt the game. At the time of the creation of the machine, even the biggest chess masters were not able to beat the machine. The inventor showed his device across Europe. The secret was shared with King Friderik the Great, who was thrilled with the simplicity of the solution. There is an anecdote saying that Napoleon also played against the machine and lost the game. After Kempelen’s death, his son inherited the machine, and later he sold it to the US Museum. Since the museum burnt down soon after, the machine’s operation remains a mystery to this day. Kempelen invented a number of other exceptional machines and devices. He composed the first typewriter, which is a kind of a predecessor of today’s typewriters. Kempelen could also be regarded as the father of today’s talking computers, since the speaking machine belongs to his inventions. He completed the steam turbine and gained a number of patents in England for this invention. Among the many projects, he also came up with the idea of building the channel between the Danube and the Adriatic Sea. In addition, he also worked on art and became a member of the Imperial Fine Arts Academy. He wrote two melodramas: Androme and Perseus, that were performed in Vienna, Budapest and Prague. Kempelen is also the author of numerous paintings and lithographs. Today, only a few visitors of Bratislava are familiar with the story of this exceptional scientist. In the city there is no museum dedicated to the exceptional personality that he was. There is a smaller exhibition at the Museum of Transport. The city’s secondary school is named after him. And this year the city unveiled his statue, located in the Waterworks Museum in Bratislava. His story is undoubtedly connected with today’s developmental breakthrough that made Bratislava the center of innovation in the automotive industry. In the 18th century, there was a period when the world experienced a radical transformation. It seems like Wolfgang von Kempelen had announced the industry 4.0, which obviously (after seeing the Volskwagen factory) became a reality. 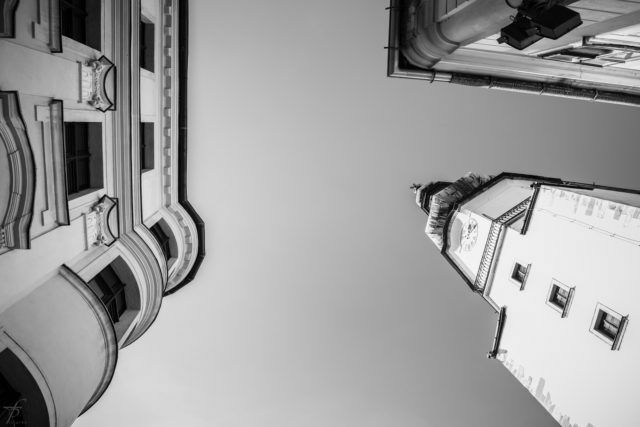 Robotization, automation, constant innovation are part of today’s Slovak reality. It is the right thing to do that when visiting the Slovak capital, we also remember the predecessor and the instigator of this chapter in Slovak history.